A change of coach late in their qualifying campaign gave Croatia the boost in momentum the squad required, and now they head for the Euro 2016 finals with confidence renewed. France also has happy memories for Croatia: it was there that the country achieved its best ever result in international football - third place at the 1998 FIFA World Cup. Croatia gained a high profile role in European football within only a few years of the country obtaining its independence following the fragmentation of the former Yugoslavia in the early '90s. Until 1991, just 25 years ago, Croatia did not exist as an independent country. They became full members of UEFA and FIFA a year later. Although they did not make their tournament debut until Euro 96, their impact was immediate and huge, beating Italy and topping the qualifying group. Croatia went on to reach the quarter finals of Euro 96, losing 2-1 to eventual winners Germany, and then stormed to third place at the FIFA World Cup in France two years later. They played a classy brand of football - one that elevated players such as Davor Suker to the upper echelons of the beautiful game. 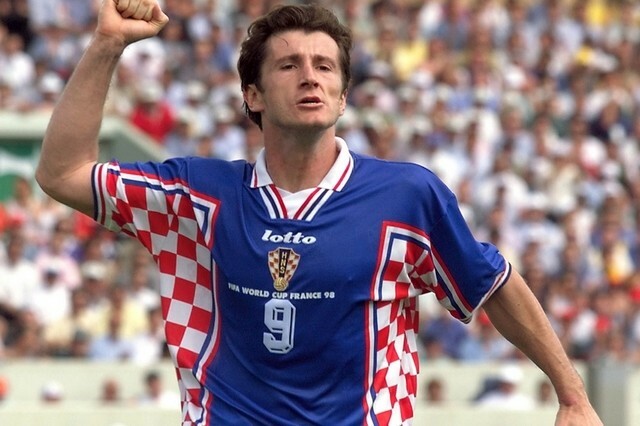 Suker, now head of the Croatian FA, proved he was an international superstar by smashing in half a dozen goals to claim the Golden Boot. Only twice since then have Croatia's famous chequered red and white shirts not lit up the finals of a major international tournament. They failed to qualify for Euro 2000 and a decade later the FIFA World Cup in South Africa. "The Blazers", as they're known, qualified for Euro 2016 by finishing second in a qualification group that included Italy, buoyed by the inspired form of Inter Milan's Ivan Perisic. The forward scored six times in qualification as Norway gave them a close run for their money. However, Croatia are far from a one-man team. Ivan Rakitic and Luka Modric are the nation's most prized assets, the pair renowned the world over for their genius and indisputable talent. Rakitic enjoyed success on the European stage with Barcelona in 2015, while Modric is fresh off a Champions League triumph with arch-rivals Real Madrid - his second such accolade. Supporting experience has been provided by defenders Vedran Corluka and Darijo Srna, along with forwards Mario Mandzukic and Nikola Kalinic. All have won well over 50 caps for the national side while Srna is the most capped player in their history with 130. Croatia's big-match experience could well be of vital importance in their quest for success in France. In what I see as one of the toughest groups in the tournament, Croatia will need to get rid of the cobwebs quickly and start in top gear, as Turkey will provide stiff competition for the second automatic qualification spot to the last 16 round, while Czech Republic can also provide a real handful on their day. The Croats' quality should see them through to the knockout phase, however I expect them to run into a wall of Italians and get dumped out at the first knockout stage. Euro 2016 Preview Series: Croatia.